A Reuters report, November 4th, contains the available information regarding the million-dollar payment, which was made in 2011, when the active effort began to overthrow Bashar al-Assad in Syria. This previously unreported payment, which was intended to go through the Clinton Foundation, was made by Qatar, which, along with Saudi Arabia, are the main sources of funding to the jihadists who are trying to overthrow and replace Assad, the man who is blocking those two countries from building oil and gas pipelines through Syria into Europe. Both Qatar and Saudi Arabia are owned by their country’s royal family, who also own the world’s largest oil and gas reserves, and those royals want to pipeline their oil and gas into Europe and displace the other oil-and-gas giant, Russia, in the world’s largest energy-market: the EU. 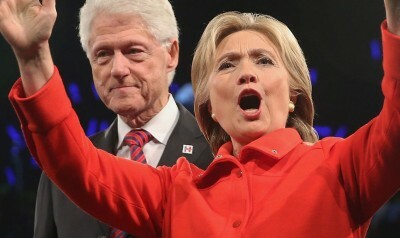 This previously unreported payment was made to him and his wife Hillary’s, and his daughter Chelsea’s, Clinton Foundation, but neither Qatar nor any of the Clintons, nor the Obama Administration, is answering any questions about it, as a consequence of which a reasonable assumption is that it was an outright bribe — especially because in the Haiti hurricane matter and many others, moneys that were paid into the Clinton Foundation did not, in fact, go to benefit the alleged charitable beneficiaries, in that case Haitians. (Haitians therefore especially detest the Clintons.) In all of the Clinton Foundation’s operations, the firms that are controlled by the world’s top aristocrats — not only in Saudi Arabia and Qatar but elsewhere, receive the funding. Whether those recipients actually spend the money as advertised is generally not tracked. The stated purpose of this particular million-dollar payment was to achieve a private meeting with Bill Clinton. The stated reason for the payment was to honor him on his 65th birthday. Bill Clinton is the person whom international aristocrats most seek to have private meetings with in order to discuss U.S. foreign policies, because there is no record kept of what is being said at those confidential meetings, and because his representations of Hillary Clinton are known to be the most trustworthy, the most “bankable” — it’s considered to be as good as if they were meeting with her in private. Neither the Clintons nor Qatar are answering questions about this matter, not even whether the requested private meeting with the Secretary of State’s husband ever, in fact, occurred. Clinton Foundation officials last month declined to confirm the Qatar donation. In response to additional questions, a foundation spokesman, Brian Cookstra, this week said that it accepted the $1 million gift from Qatar, but this did not amount to a “material increase” in the Gulf country’s support for the charity [that’s the phrase in the law that requires it to be made public]. Cookstra declined to say whether Qatari officials received their requested meeting with Bill Clinton. – Would like to see WJC “for five minutes” in NYC, to present $1 million check that Qatar promised for WJC’s birthday in 2011. – Qatar would welcome our suggestions for investments in Haiti – particularly on education and health. They have allocated most of their $20 million but are happy to consider projects we suggest. I’m collecting input from CF Haiti team.